There’s nothing like a happy elephant. Not from what I’ve seen. Elephants, in their nature, are happy. That’s what we like to see. An elephant enjoying life. December 10, 2016. Five o’clock. Ryan Reynolds reigns supreme. A few parents had their kids out tobogganing on Alder Street tonight. I’m on foot coming home having decided to leave the car in the parkade today. Such a brave man. I had a job to do. The barricades are out and there’s no cars. The white stuff, which was late and started slow, has fulfilled its promise and makes a nice change. Alder street in this block is steep and perfect for tobogganing, something I’d never thought about before. If I wasn’t so lazy I’d go back out there and do some tobogganing myself. Tobogganing. Good for you. Fond memories of tobogganing as a child. Oh, to be a child again. No thanks. It’s safe to say the season is on. I put $40 in and drive off. It’s great. I was just down at the car wash and the black sedan is as clean as it’s been in weeks and me and the car are both feeling pumped. A clean car runs better. The guy ahead of me at the car wash driving a Mazda 3 complimented staff on his way off. “Thanks. Cars are really dirty now.” He’s talking about the weather in the last couple of days. It’s bright and clear today and I was surprised to see the car wash not busier as I made my illegal left turn across the painted island to get in there. Obviously it’s going to save me going around the block to come in from the westbound lane which is what I should be doing. Right this instant, at this moment in time, for some odd reason I can’t quite understand, there is no traffic coming in the usually busy westbound lane and that’s when I went for it. While I’m waiting in the five or so car queue I reflect on how I need to do something about my driving. 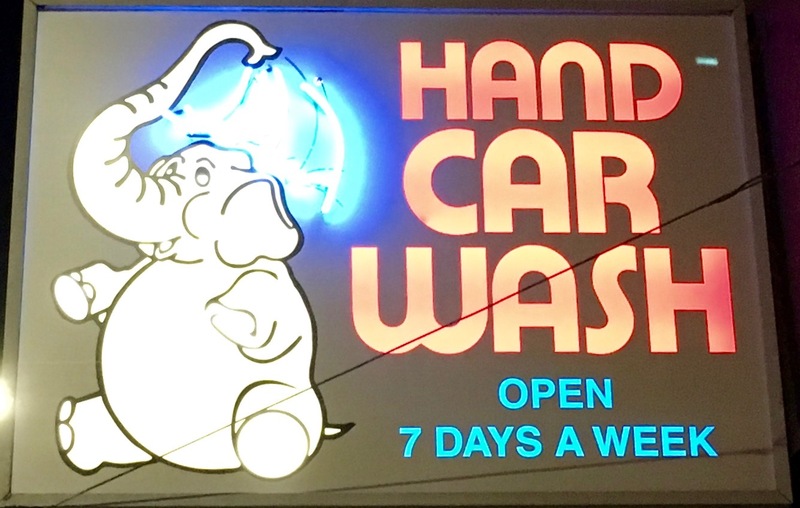 An employee is soap-brushing my wheels and I notice he is wearing a “Happy Elephant Car Wash” logo fleece-type of warm jacket in black. The logo is in orange lettering. Scant moments before that I’d witnessed a large SUV up on Broadway cavalierly cop a full U-turn right in the intersection at Burrard Street, as it’s called, which had thrown me into my by now predictable tizzy about U-turn-ers and how I hate them. And it was still bothering me. “Bad driving habits are contagious,” I repeat ad nauseum whenever I get the chance, and I’d just proven it. December 13. A brilliant, bright day. I mean, it’s called “silly season” for a reason. 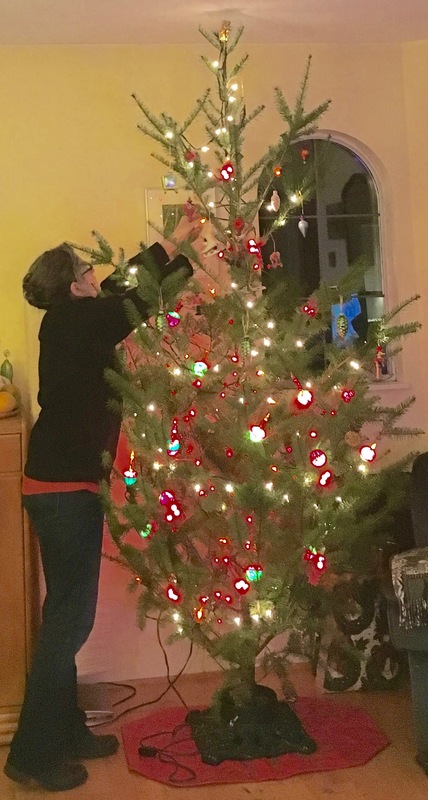 Bringing a defenceless tree into your home and sticking it in a metal pot for a couple of weeks is silly. Why do we do it? Because we did it last year and the year before. We’re those kind of people. It’s tradition. That doesn’t make it right, but it is silly. We were at it again last night. December 14. That’s what I’m thinking. We have to be careful. I inadvertently cut off a car making a lane change on Burrard this afternoon after closing out this deal. Blast of the horn twice and then, of course, the red car I cut off roars up beside me. I, the bad driver, and I admit it, no excuses, ignore ignore ignore. I haven’t cut anybody off in years. It’s been too long. It worked. The car backed off. The driver must have realized the danger he or she was in, getting into a road-rage incident on Burrard Street with a guy who looks as dangerous as me. 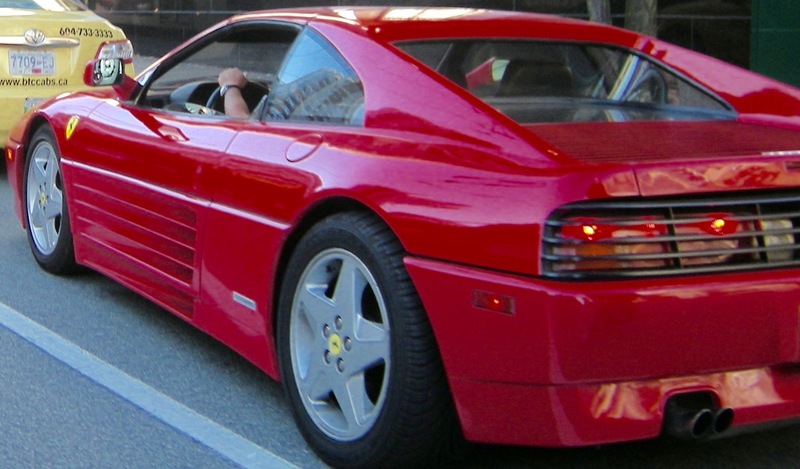 No, sadly, it wasn’t a Ferrari. It was an older beater. But now, in a sense, I understand that driver’s U-turn yesterday. That was on Burrard Street too. Maybe this should be called Burrard Street. By the way, for all our American viewers and all our fine non-locals everywhere who may not know how to pronounce “Burrard” it’s not “Burr-Erd” it’s Burr-Ard”. I don’t know. Some Britisher sea captain or something. I’d look it up but there’s just no time this time of year. Because this driver, this U-turner, and who am I to judge now, saw the peril on Burrard. The street’s had the crap ripped out of it for many months for new water mains or whatever it is. It’s been blocked off completely in some places, or restricted to one or two lanes. And it’s frustrating. Especially if you don’t know it’s happening and could have gone some other way. And the guy just couldn’t face it. He must have panicked. And I forgive him because it’s the thing to do. This entry was posted in Absurdities, Actors, Actresses, Certainties and tagged Emma Stone, Ryan Reynolds. Bookmark the permalink.